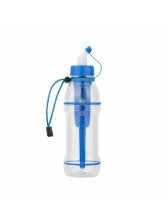 Our Regular Water Filter bottle is perfect for anyone wanting pure, contaminant free Tap or Municipal Water (ie. this filter does not remove Giardia, Cryptosporidium, Viruses & Diseases like other filters in our range). 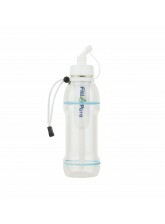 However, we still remove far more tap water contaminants, heavy metals, chemicals, Volatile Organic Compounds and Fluoride than any other Tap Water Filter bottle available. Our filters are not limited by a 2-3 months shelf life and can be dried, stored and reused multiple times until the filter completely clogs. You should get a replacement filter for your bottle only when you feel the filter is so clogged with contaminants that it is getting too difficult to use. 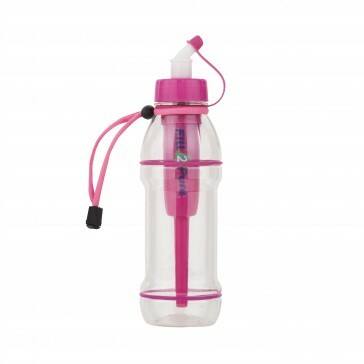 Our bottles are made from Clear BPA-Free plastic, which is a non-toxic, non-leaching safe plastic.